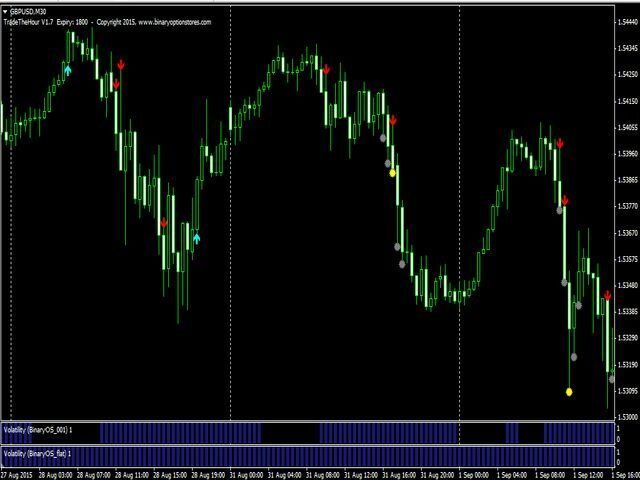 This is a No-Repaint indicator created for Binary Options, but can also be used for Forex trading. 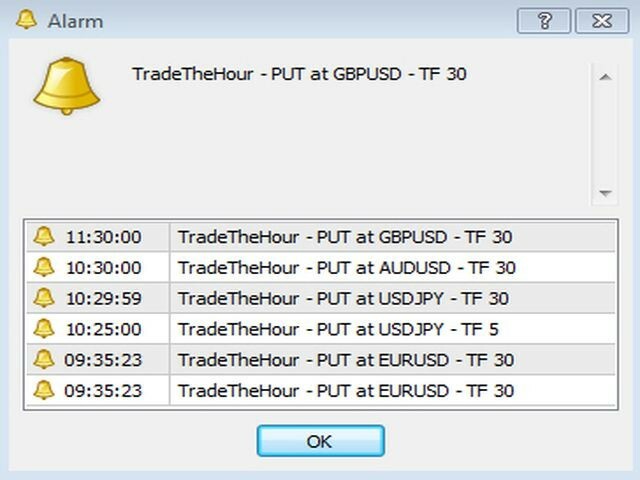 Trade The Hour detects a strong trend. After that, it outputs a signal in trend direction. The indicator is designed for H1 but can also be used with other timeframes. The optimal timeframe depends on a currency pair and preferred trading time. We recommend M30 or H1 timeframe. Expiry: Expiry of trades for WIN/Lost calculation. 0 – current timeframe. Signal: "immediately" = current bar, "only at new bar" = signal at new bar. Trend_Indi: Default 14, first indicator parameter. Trend_Breaker: Default 6, second indicator parameter. Follow Trade if Lost: Simulate 0-5 follow trades, if the trade before is Lost. Allow Alert, Mail, Notification, Sound: 'true' – if there is a signal, an alert and/or a message is displayed. View Results: TRUE - show results. Start Hour: Start hour for results. Stop Hour: Stop hour for results. In order to be able to view the Forex News you have to read the Forex News with the script Read Forex News Archive (free). this is the best indicator I've ever bought, ever downloaded or found around the web. Indicator now works perfectly together with our expert advisor "My Binary EA"
The display of the results has been revised. 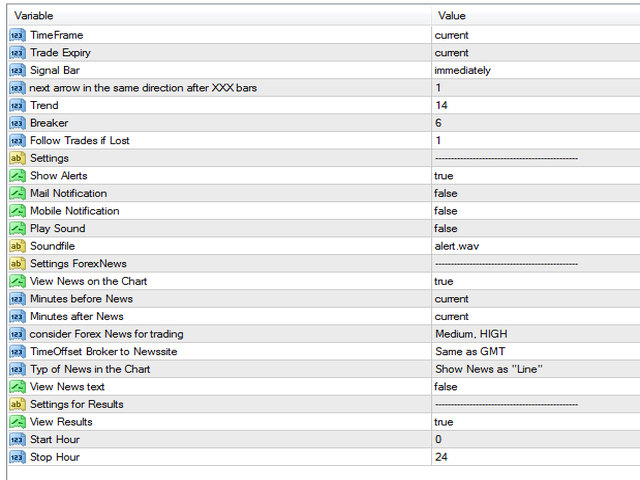 All trades are now correctly simulated and calculated. Not all objects in the chart are deleted, but only ones of this indicator. Now the signals will be calculate new if you change the timeframe. There are no signals from other charts visible. The indicator is a "no-repaint-Indicator". If the signal is to immediately come, this signal is also kept in the current chart. Only when you restart the chart, the signals are different. If at this second the signal is come, the market look differnet at the next second. When you restart the chart only the complete bars are used to calculate, not every tick.